That’s the collective thump of skiers and snowboarders across the Reno-Tahoe region eagerly pumping their legs like caffeinated teenagers bracing for the school year’s final bell. That’s right, the ski season has begun in the Tahoe region, and the hopes for another long and strong winter are as high as a Sierra Nevada summit. Just ask Mike Pierce, director of marketing at Mt. Rose Ski Tahoe. The resort is typically one of the first in the region to open due to its area-high base elevation of 8,260 feet. Despite last year’s weaker snow season overall in the greater Reno-Tahoe area, Mt. Rose still saw 324 inches of snow, enabling skiers and riders to carve down its 1,200 acres from October through the end of April, Pierce said. “Last season, we actually got lots of early season snow and became pretty much a staple for having some of the better snow throughout the season in this region,” Pierce said. 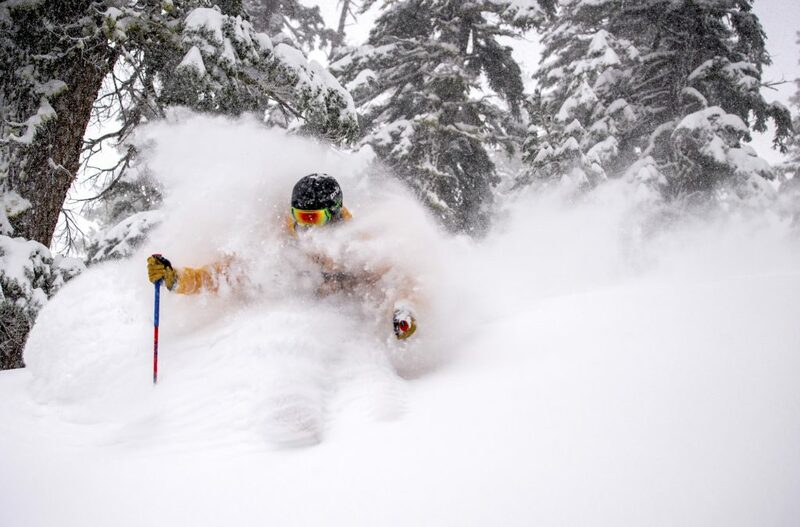 “While Mother Nature has blessed us with deep powder days over the last few years, we are prepared to roll out good snow conditions regardless of when she turns her tap on,” Hepburn said. What’s more, Boreal installed a new snowmaking system near its beginner terrain, expanding its already extensive “learn to” areas. Boreal also has a new parking lot, free to all pass holders and pre-committed buyers, for both Boreal and Woodward Tahoe, its indoor training facility. The resort gave its snowcat an upgrade over the summer to give its Snowcat Adventures even more power for prowling the mountain. The tours takes groups of up to 10 people over 750 acres of backcountry terrain on the flanks of Ellis Peak, above the resort’s traditional ski area boundary. Mt. Rose Ski Tahoe, a stone’s throw from Reno, invested another $2 million in projects last summer. This includes the installation of 17 new snowmaking towers, complemented by additional high capacity pumps, as well as upgrades to their snow grooming fleet. Improvements were also made to the resort’s parking lot, restrooms and signage, including four LED lift signs. Northstar, six miles north of Lake Tahoe, is giving its snowmaking department a boost with the addition of 24 low-energy snow guns along Luggi’s and Lower Washoe trails. Additionally, chairlifts, snowmaking equipment and trail signs have been given upgrades. The resort’s 360 Smokehouse BBQ also received a facelift to provide guests with eye-popping views of Lake Tahoe while they savor mouthwatering barbecue. 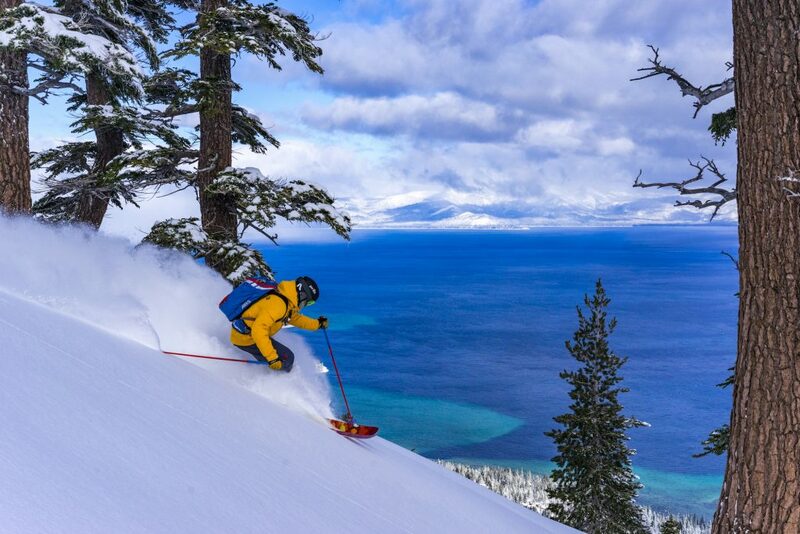 There’s plenty of newness at the renowned Tahoe area resort. Squaw-Alpine is debuting its first full season of the Ikon Pass, which offers access to 36 destinations around the globe — three continents, four Canadian provinces and 12 states, to be exact. Sugar Bowl’s snowmaking system is getting perhaps the biggest upgrade in the Tahoe area. The resort invested the first $3 million of an $8 million project, doubling its water pumping capacity and dropping its energy consumption and time it takes to cover its snowmaking terrain by two-thirds. Kaleb M. Roedel is a reporter for the Sierra Nevada Media Group and frequent contributor to Tahoe Magazine. This story originally published in the 2018-19 winter edition of Tahoe Magazine, which published on Thanksgiving 2018. This story profiles what’s new at only some of the Tahoe-Truckee region’s downhill resorts. Go here for a full list of regional downhill and cross-country resorts.